Happy skincare day of blogmas! I love doing gift ideas and gift guides for blogmas to give everyone ideas of what to get your loved ones. Most people do gift guide’s with little writing and mainly just pictures and links…that’s not how I roll. So my gift guides will be with a little explanation of the products as well, hopefully, that’s more helpful! Today is my skincare gift guide! Skincare makes a great gift in my eyes because it tends to be a little more pricey than most people typically spend on themselves, So I have definitely asked for skincare kits or items over the years for birthdays and Christmas. If you are wanting to buy your friend or family some great skincare but have no idea where to start, look no further! I’ve tried to do fairly affordable items because they can get pricey! And these items are typically good for all kinds of skin but if they’re for a specific skin type I’ll try and mention that! 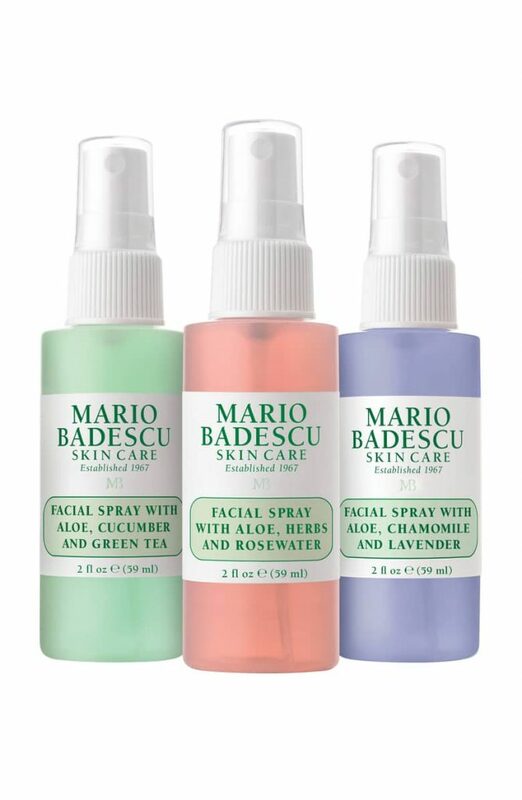 These facial sprays from Mario Badescu are a great and affordable set for anyone who enjoys hydrating and misting their skin. These can be used before makeup, after makeup, at bed, or even just anytime you need a little refresher during the day. Facial Sprays are a great way to refresh and keep your skin hydrated. I always enjoy a good moisturizer and I know many other people do as well. Most people, even if they don’t have a full skincare routine, use moisturizer I would bet. So purchasing a friend or family member a quality moisturizer is a good idea. 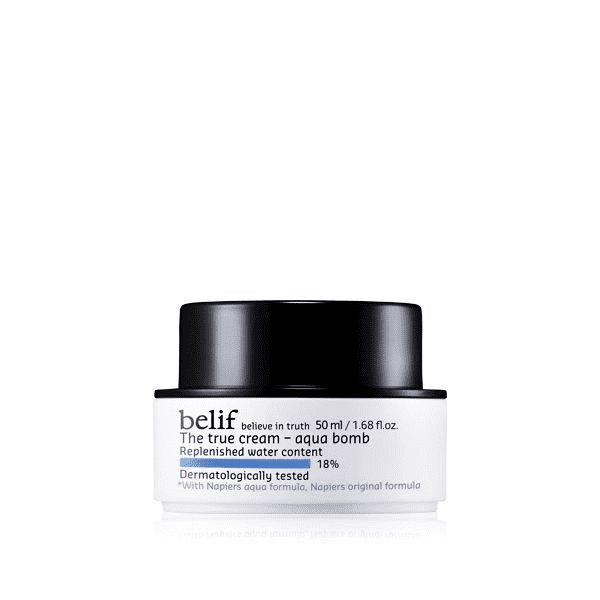 This Belif is a kbeauty one that is packed full of moisture and hydrating elements. It’s also more like a water gel than a thick, creamy moisturizer. Good for all skin types! Skincare sets are always a great idea because you typically get more bang for your buck and get to try more than one item! This set from OLEHENRIKSON is a great value and includes 4 of their best products from the Truth line. Serums are typically a pretty expensive skincare item but so worth it! I actually had this Hey Honey serum in an Ipsy over a year ago and have been obsessed since then. If you have someone that really takes care of their skin or wants to start doing so, this serum is a great option for them. It also can be used morning and night. This set is a value of $73! Origins is another big name in skincare and I know I would be so happy to receive something like this best skin set. The Origins set comes with 5 items including a serum, face wash, and mask. This skincare is perfect for anyone wanting to start off on a good skincare routine. 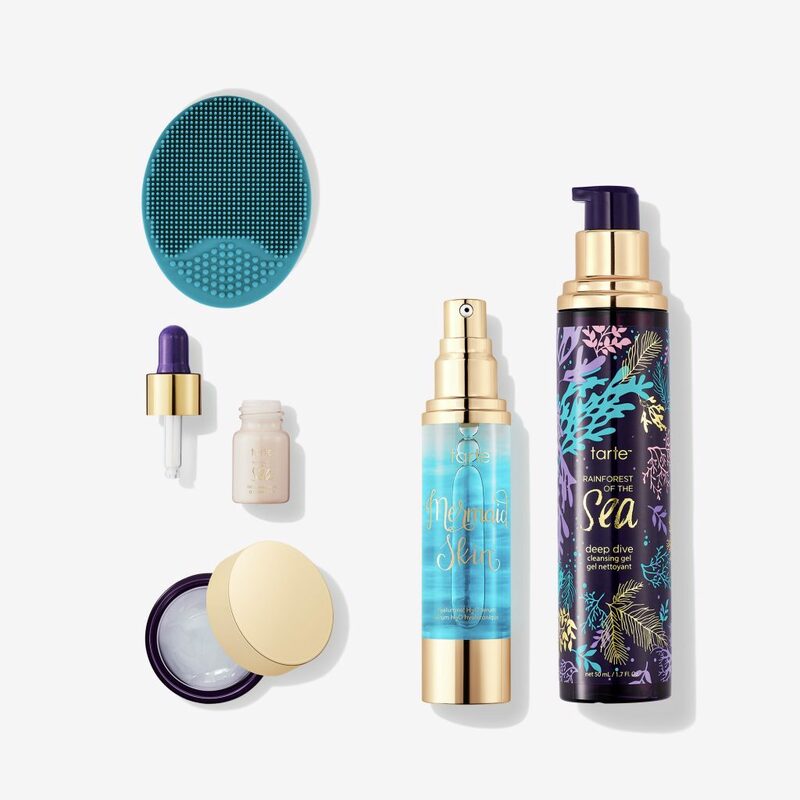 Tarte is one of my favorite brands for makeup and I love that they are starting to do more skincare now. This set is a great option for anyone wanting to start off with a good skincare set. If you have someone that is still learning about skincare or wanting to start taking care of their skin…this is a great option! It comes with a deluxe size moisturizer, travel-size serum, radiance drops, travel-size cleanser, and a scrublet. Great kit to start off with! 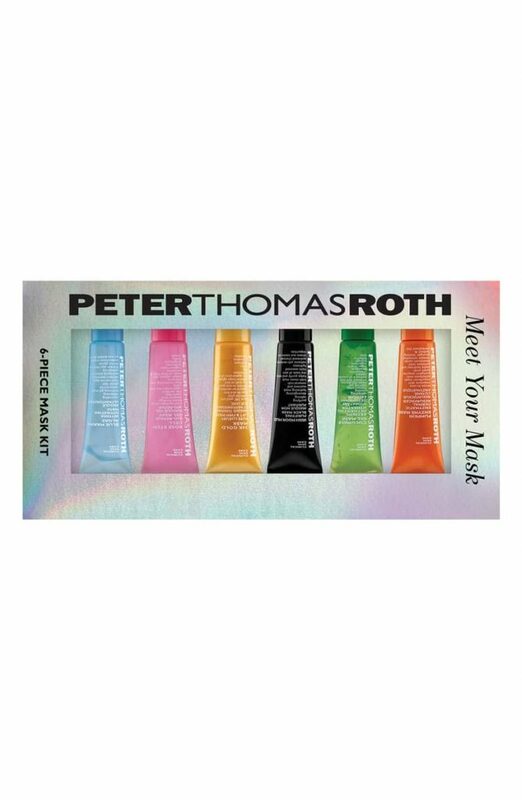 For my mask lovers, this is a great set that allows you to try six different masks from Peter Thomas Roth. They’re small sized but still great and a good way to see which one might be your favorite. Each mask has a different smell and purpose so there are lots to try! And if you want to buy something for someone who enjoys a little spa day at home…perfect set! 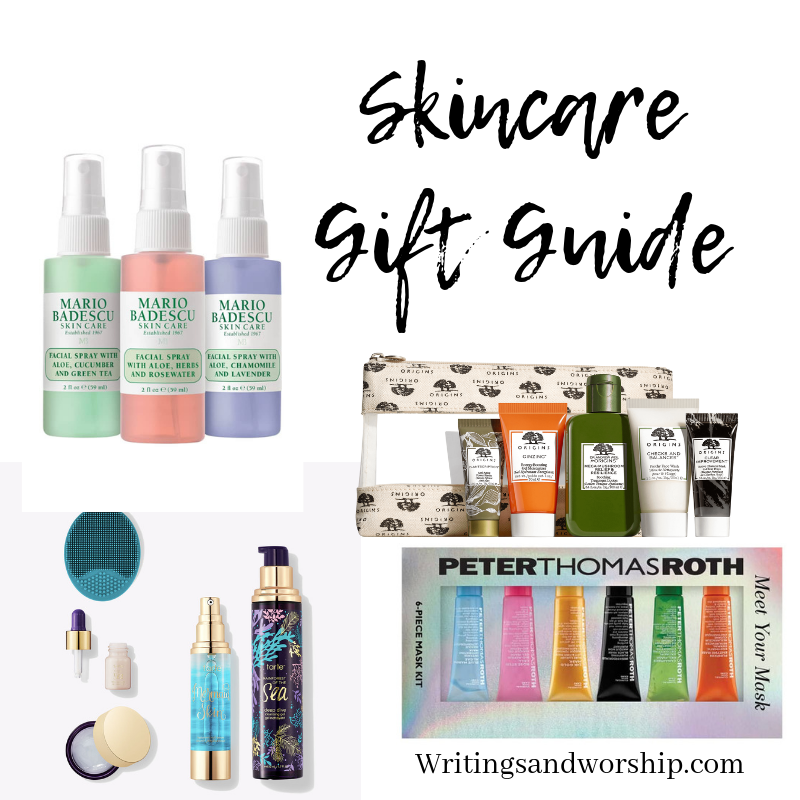 Are you buying gifts for any skincare lovers? Or hey, maybe just treat yourself with one of these items! I hope this gift guide has helped you! Merry Christmas XOX See you for another blogmas this week.